Novel Care is your #1 choice for Bosch Gas Boilers in Toronto. 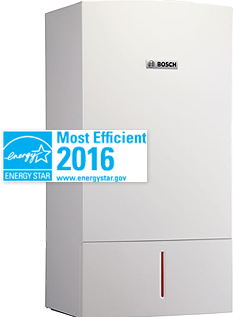 Bosch gas boilers are economical and clean boilers and a great way to generate heat for your home in the winter. 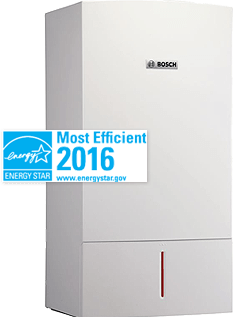 Bosch gas boilers can significantly reduce your monthly heating bills as they are incredibly energy efficient, which means by replacing your old low-efficiency boiler you will reduce your environmental footprint. 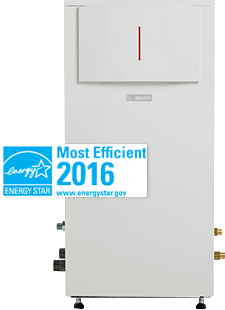 Space heating Bosch gas boilers for connection to a hot water tank with unsurpassed performance and control. With special insulation to ensure ultra quiet operation and the exclusive keypad safety lock feature to prevent unwanted tampering with heating controls, this unit is the ideal “green” upgrade for detached & terraced houses and is also suitable for apartments. Space heating boiler for connection to a hot water tank with unsurpassed performance and control. “Combi” (combination) unit with space heating and integrated water heating in one highly efficient, compact unit. The Greenstar Combi Pro boilers have the same superior features found in our standard Greenstar Combi boilers, with the auxiliary accessories removed. These combi boilers provide both space heating and domestic hot water while maintaining AFUE efficiencies of 95.0%. With domestic hot water flow rates up to 4.0 GPM (72° ΔT) and a variety of different venting options, these combi boilers are the preferred choice for apartment and home-owners alike. Tailored by Bosch to give you all the same features and benefits from a small residential boiler through a large commercial cascade application, the new SSB Series is incredibly efficient and easy to install. 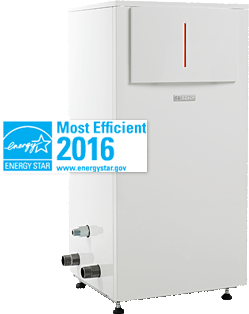 The Buderus SSB residential boilers were designed with the same high-quality components found in our commercial SSB boilers but in a compact space-saving design. All SSB boilers include integral pumps, built-in low water cut-offs, adjustable manual reset high limits, push-terminal wiring and a host of venting options. In addition, the Buderus SSB residential boilers have the best price-performance and warranty in the market. 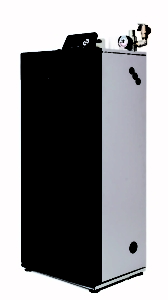 The 316L stainless steel heat exchanger is a water-tube design that has no welds on the water side of the heat exchanger. This feature, combined with a 5:1 turndown pre-mix burner, allows the SSB boilers to achieve an AFUE rating of 96%. Other standard features include outdoor reset, domestic hot water priority, top connections which allow for easy installation, limited clearance requirements, internal cascade sequencer for up to 8 boilers for increased output and application design, and CSD-1 components pre-installed.